Transcription is a pretty popular part-time job option that you can choose. Places such as Flexjobs, Indeed, and Glassdoor offer part-time transcription jobs that are good for stay at home moms, retirees, and other people who can’t work full-time. Scribie is an audio/video transcribing service that starts at .75/minute of audio or video. The name sounds pretty amateurish and cartoony, but maybe they make up for it in their effectiveness. You can start as just a transcriber and work your way up to get promoted to Quality Control or Proofreader where you can make $1,000 a month. There are 4 different levels you can reach. This is like a testing phase making sure you would be a good fit for the company. You get a 6-minute audio file to transcribe and if your work is good enough then you move on to the next file. You do this for 10 different audios. It is the most tedious level and the pay is awful. You have to start somewhere though, right? In this level from what I can tell you check the reviewed files for mistakes and also add timestamps to the files. You are paid the same for each file you review. Some of the files are audio files are difficult to decipher and those pay better at least, but it seems there is a $2.00 cap per file. If you get promoted again the next step up is as a self-reviewer. What you can do here is submit your own transcriptions, review others work, and also continue to take transcription jobs that Scribie offers up. Pay is still around $1 per 6-minute file. If you’re lucky enough to get promoted all the way to here you can start making money. This position can even come with a salary starting at $150 so the pay still isn’t that good. Something to do if you just want a little extra pay. If you want a part-time job that can offer you a supplemental income it sounds legit, don’t you think? While you can get promoted for good quality work you can also get demoted and then you can not get repromoted afterward. You’re banned from advancing if you get demoted. It can be a difficult job translating what some of the audios are saying. If you are a finger pecker on the computer transcribing is not for you. In my honest opinion, I think you could do better. I mean, it seems like you can make an extra bit of money and if you’re good maybe even a lot of money. I would suggest taking a look at other opportunities. There is a good course on transcription at TranscribeAnywhere.com that you can take if you want to improve your skills. Another more new transcription service on the list. TranscribeMe is a service that is very similar to Scribie above.But I must say I don’t think it is as good as Scribie above for reasons I’ll get into below. There is a test you have to take and if you pass you get hired on and if you fail and one good thing is that they are helpful and let you retake the test after 6 months. There are negative and positive reviews revolving about this program. If you are good at transcribing you might like it. The ones saying it is a waste of time probably don’t have the knack for the skills required, don’t like the fact that TranscribeMe apparently has no support desk, or the pay is below minimum wage for a lot of areas. There are a lot of pitfalls with this one in my opinion. Anyway, here’s what I have heard from someone who was actually is TranscribeMe. You do actually have to pass an exam to determine whether you can do a decent job. This should be a given since they can’t accept everyone, can they? You can possibly make more money with this than Scribie. Up to $50 per audio hour, but that is with being experienced so don’t expect this. The usual is $20 per audio hour. Lack of good customer service, such as total lack of support desk. So The Question Is: Is TranscribeMe Worth Your Time? To this, I would say no. No, they are not worth your valuable time and effort. I would give them maybe a 1 out of 5 rating. There are just too many downsides without the cool upsides. No customer support. Lack of jobs available. Bad pay. No way! I would stay clear of this company. If you want to know a great way to make a full-time income online working just part-time hours then check out my #1 Work From Home Opportunity. Joining is free and I want to help you succeed at a legit business. If you set yourself up with a good company you can make a good living as a legal or medical transcriptionist. I have an aunt who was a medical transcriptionist for the VA for many years and was making great money. I don’t think these online transcriptionist opportunity sites are worth it though. I think you would be better off applying for actual companies that offer actual transcriptionist jobs that pay better, but it’s up to you. 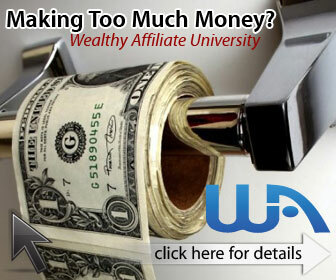 Want to know my way of making money? It involves selecting a niche to market to a hungry audience, building a website around it, and then utilizing the affiliate marketing business model. It looks that there are a lot of transcribing opportunities out there which I’m not aware exists. Really appreciate your sharing of all the pros and cons. I have also heard of GoTranscript. Have you heard of it before? If yes, what is your thoughts about it? Any better than Scribie? i have not heard of GoTranscript. I just feel like there are better things to do with your time than get pennies for your efforts. Transcribing is a hard skill to master and they want to limit you to six dollars an hour. That’s less than minimum wage in our country! Unless you get into legal or medical transcription which are the jobs you should shoot for but require experience, then transcription isn’t worth it. If you are trying to do regular transcription just to get experience under your belt so that you can then go into the higher-paying medical transcriptionist field it might be worth it. There are courses you can take to learn it. If you’re a single finger pecker like I am I wouldn’t advise it.